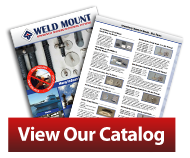 Check out our videos below or visit our YouTube Channel to browse the full list of the latest Weld Mount videos available. How Strong is Weld Mount? Strength demonstration of Weld Mount bonded stud supporting an engine. Can Weld Mount Take Impact? Demonstration of impact resistance using Weld Mount Adhesive AT-6030. How Do I Use Glue Dots? This video shows how to effectively use Weld Mount Glue Dots for heavy parts. How Do Your Adhesives Work? This video gives you a general overview of the Weld Mount line of Adhesives. How Do I Install Fasteners? This video shows how to effectively install Weld Mount Fasteners. How Do I Use AT-6030? This video shows you how to use AT-6030 Weld Mount metal bonder for your next project. What is the AT-4020 Adhesive? This video describes the Weld Mount AT-4020 Adhesive. What is the AT-2010 Adhesive? This video describes the Weld Mount AT-2010 Adhesive. 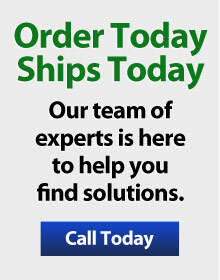 What is the AT-1030 Adhesive? This video describes the Weld Mount AT-1030 Adhesive.